This is the second post in this series. While performing yet another funeral, I spotted the rare breed of a flock of aging flower children wending their way among the graves. I was in the Haym Salomon Memorial Park in Frazer, PA outside of Philadelphia. The women in flowing dresses wearing granny glasses were not there to visit their dear old Granny! Neither were the guys in tie-died shirts, dying. 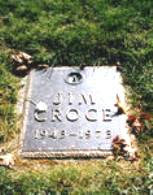 In fact, they were making a pilgrimage to the grave of the rocker, Jim Croce. Jim Croce had three highly successful albums and several hit singles including, "You Don't Mess Around With Jim," "Operator," "Bad, Bad Leroy Brown," "I Got A Name," "Time In A Bottle," and "I'll Have To Say I Love You In A Song." His career came to a tragic end in 1973 when he and his fellow musicians boarded a private plane in Louisiana to travel to a show in Texas. The plane crashed in Natchitoches, Louisiana shortly after takeoff killing everyone on board. Still, Jim Croce the Italian Catholic, is buried in a Jewish cemetery? Well, it seems he converted to Judaism when he married his wife, Ingrid Jacobson, so he had the same right of every Jew, whether Jewish from birth or converted, to be buried in a Jewish cemetery. Here's the marker that attracts so many visitors. Croce’s last album for ABC was called, “I Got a Name.” So, I guess it is fitting that his metal marker merely shows his name and the years of his life, 1943-1973. Typically a Hebrew name would have been accepted by Jim at his conversion, but it is not included. 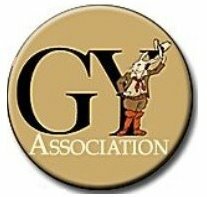 The lack of his Hebrew name is not a tremendous loss to genealogists, however. His paternal Hebrew name would have listed him as the son of Abraham Our Father (as is the case for all converts who are linked to the Biblical Patriarch as their spiritual father) rather than his biological father. Wyatt Earp is buried in the Jewish section of the Hills of Eternity Memorial Park in Colma, California.